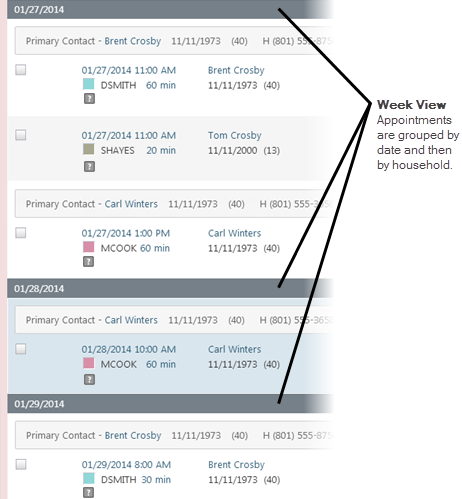 You can change the view of the unconfirmed appointments list to have it display appointments to suit your preferences. View settings are saved until you log off. 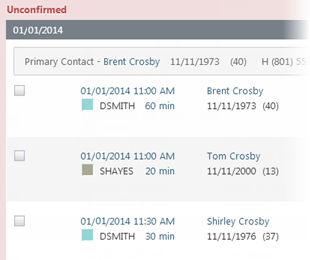 Note: The appointments on the unconfirmed appointments list are sorted by appointment time and grouped by primary contact. On the Schedule menu, click (or tap) Unconfirmed Appointments. The Unconfirmed Appts page opens. The Unconfirmed Appts page provides the following viewing options.